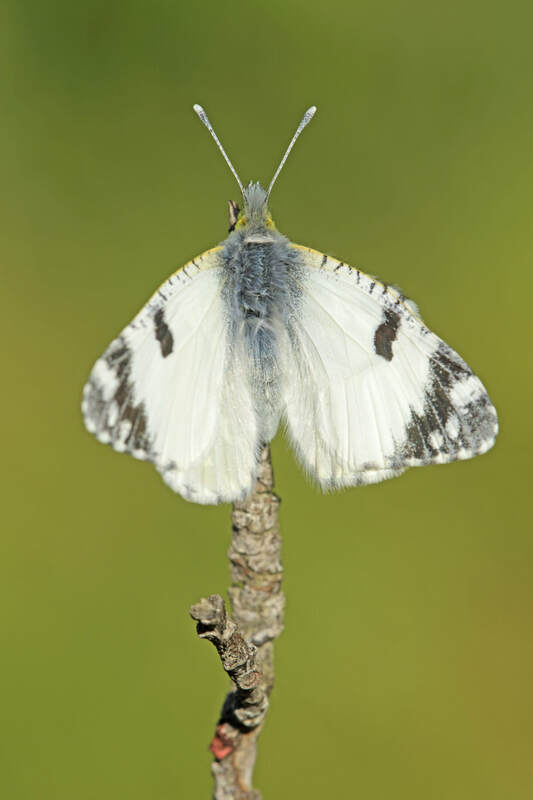 The uppersides are white with a jet black spot at the end of the forwing. 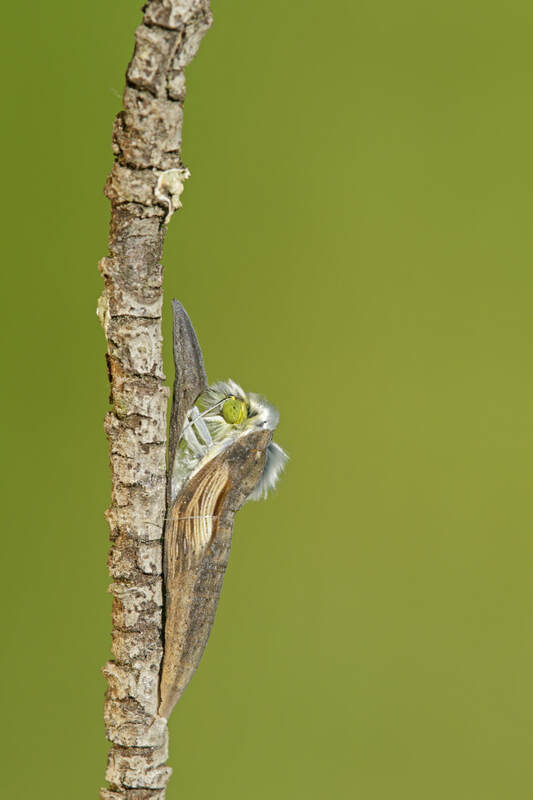 The wingtips aredark grey with a number of white spots. 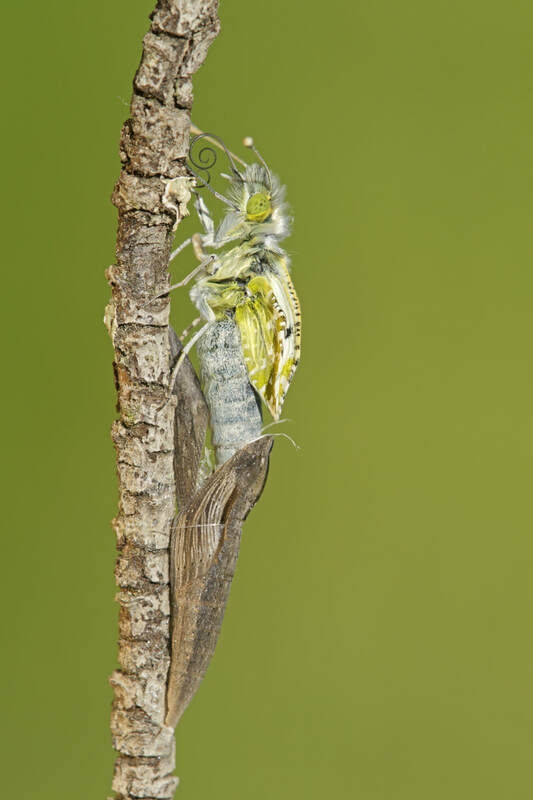 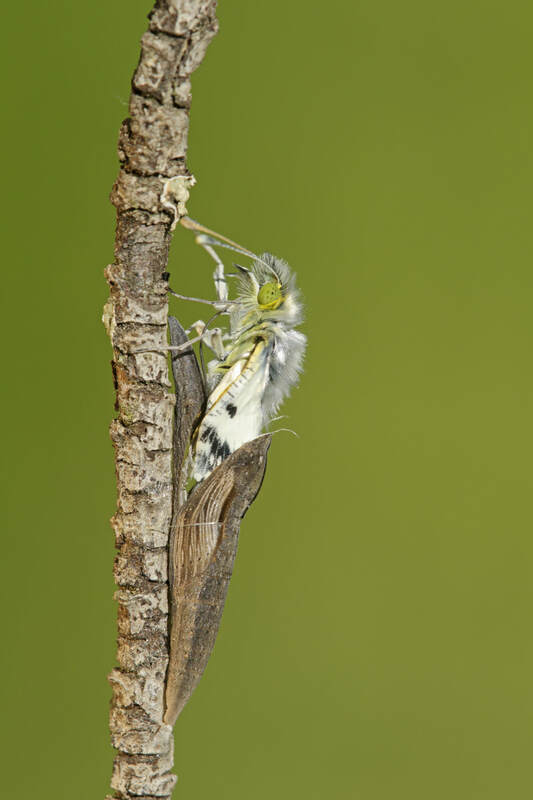 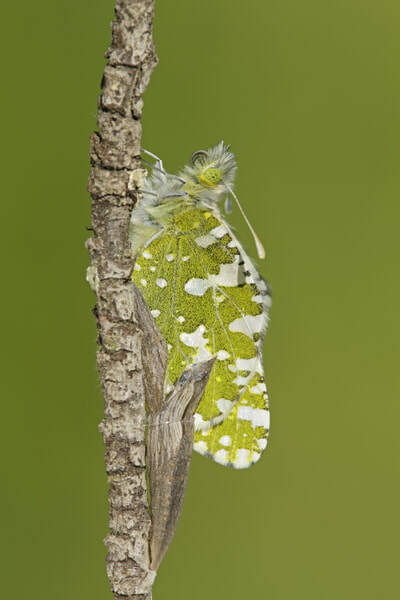 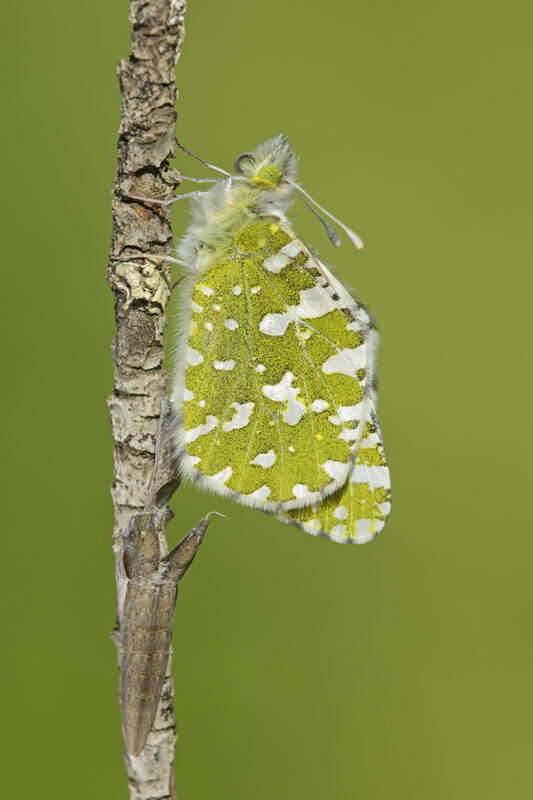 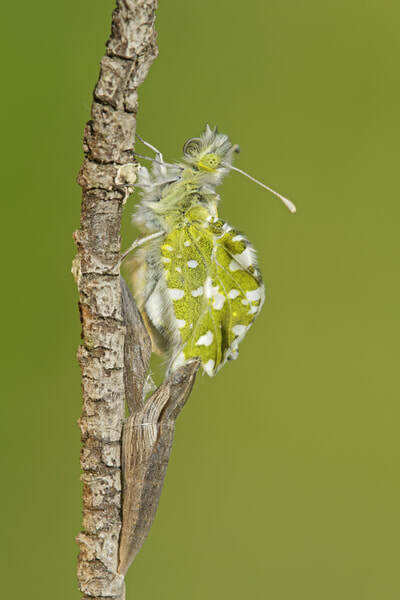 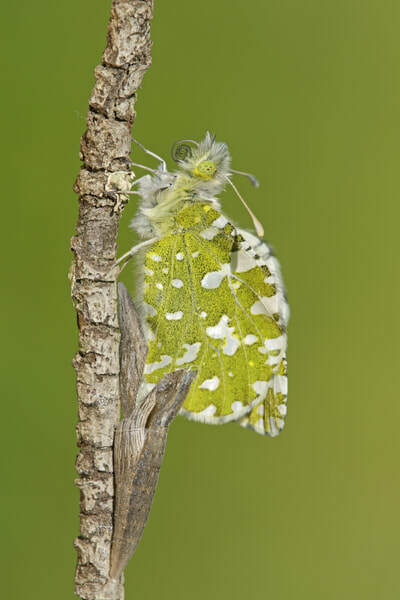 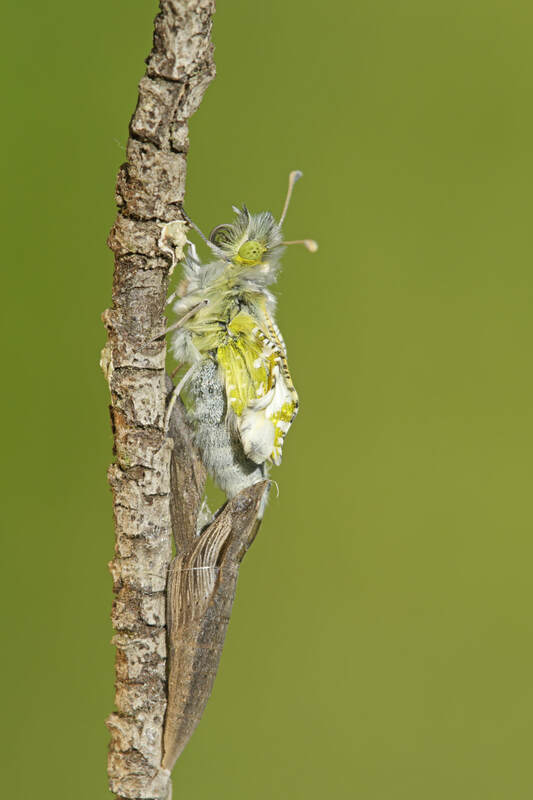 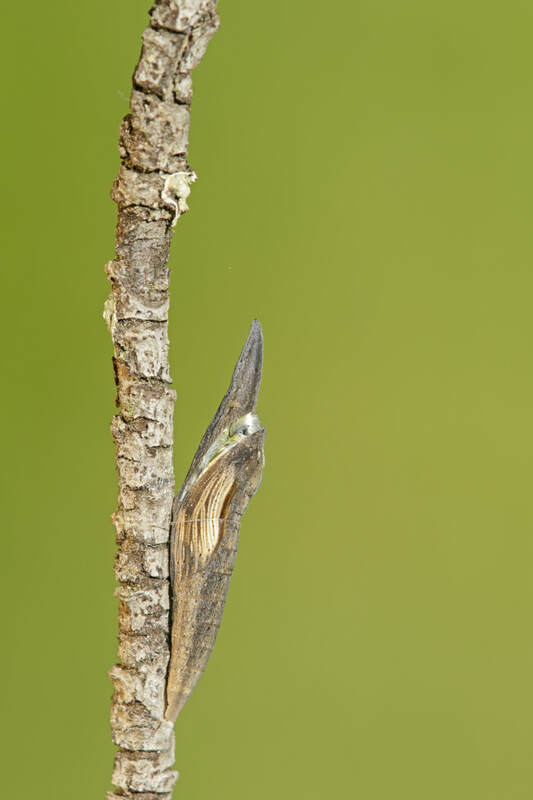 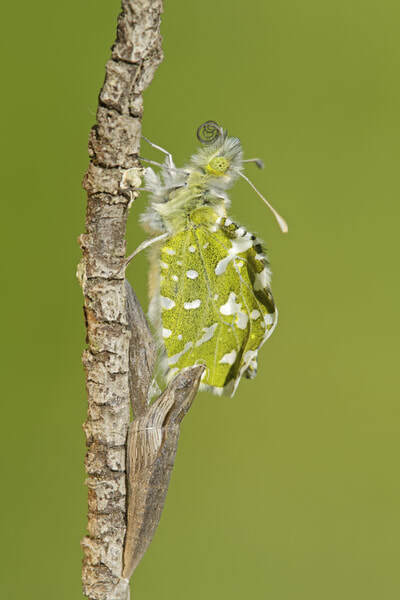 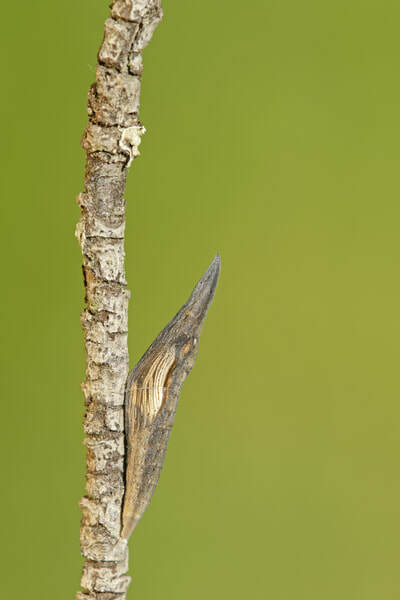 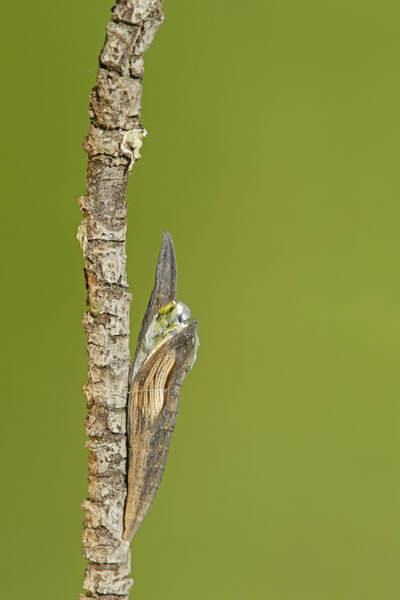 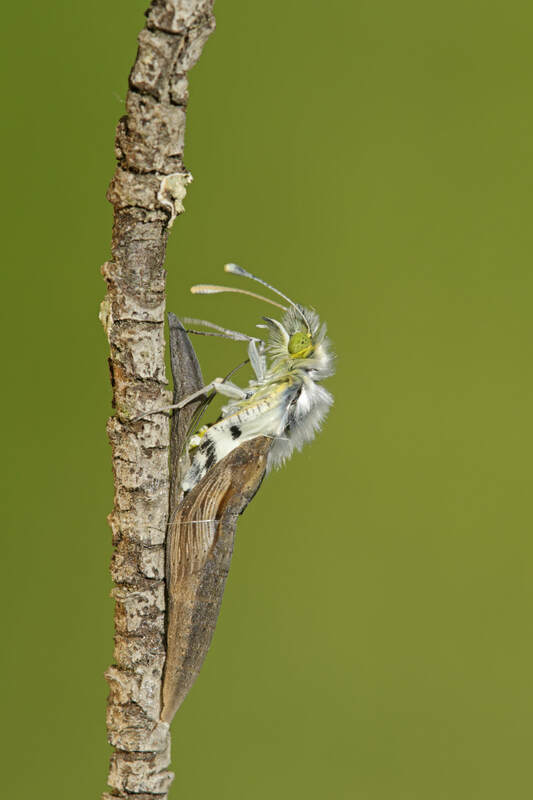 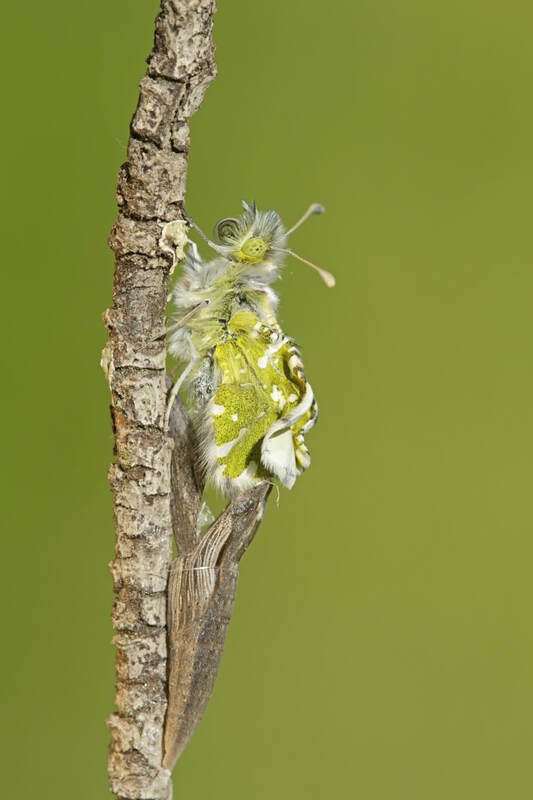 The underside of the forwing resembles the upperside but is green or yellowish at the tip. The underside of the hindwing is mottled green and white. The sexes are alike. Flight from March/April to June/July in two broods. 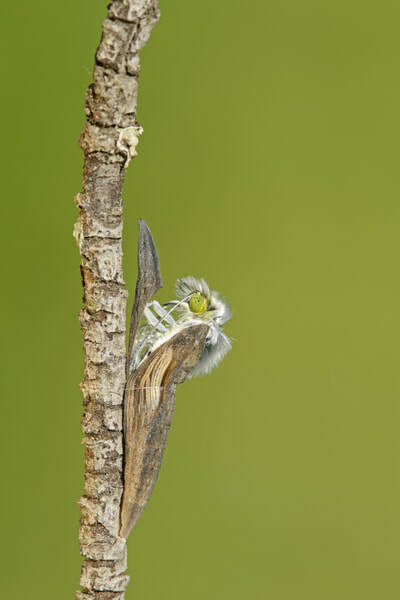 Larval foodplants include Wild Candytuft, Woad and many other crucifers. For photos of the other stages please link to my 'regular' page about the Portuguese Dappled White.